Having peace of mind for all of your holiday plans in the next year can make life a little easier. As well as knowing that you’re covered for all of your travel plans, having annual cover means that you don’t need to remember to rebook your holiday insurance for every holiday you take. It can also be cheaper for you to buy an Annual multi-trip policy than buying a single trip policy for your holidays individually. Find out more about our Annual Multi-Trip policy below and when you’re ready, you can either get a quote online in minutes, or call us on 0800 888 6195. What is Annual Multi-Trip Travel Insurance? Annual Multi-Trip Travel Insurance gives you cover for all of your holidays in a year. Your policy can start whenever you want but it’s always best to start your annual policy as soon as you can. 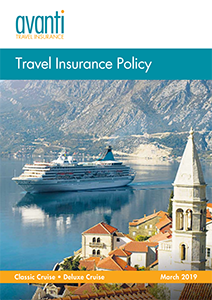 Starting your year-long policy before your next holiday means that you’re immediately covered for cancellations. It covers you for things like having to cancel your holiday due to a medical emergency, having to have dental treatment abroad as well as things like personal baggage and lost passports. With Avanti Travel Insurance you’re also covered for over 85 sports and adventure activities as standard. Why choose Avanti Travel Insurance to cover my trip? If you’re looking for affordable travel insurance for your trips all year long then you’ve come to the right place. 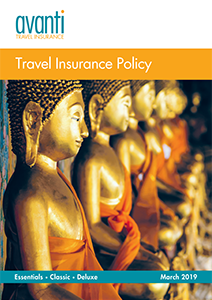 What does our Annual Multi-Trip Travel Insurance include? Here’s a summary of some of the most popular features of our cover including our unlimited medical expenses and cancellation cover up to £7,500. With three options to choose from, there’s a level of cover for everyone! We know just how frustrating it can be for you to make sure you’re covered properly when you have medical conditions. That’s why we specialise in travel insurance for people with pre-existing medical conditions. We’ll consider all of your medical conditions as part of our simple quote process to get you covered properly in minutes. Talk to us today on 0800 888 6195. Or, you can get a quote online in just a few minutes.